When Paul talks about the risen Christ he speaks of Jesus as the one who was raised up into the fullness of God. Being raised up into the fullness of God… Now that’s a resurrection I can hope for. Although Paul speaks about Jesus’ resurrection as God’s victory over death, the Resurrection isn’t some glorious taming of death, because in the end, we still die – death is still real for us … many of us know that only too well. When Paul paraphrases the prophet Hosea: “Death has been swallowed up in victory. Where, O death, is your victory? Where, O death, is your sting?” Paul is not negating the reality of death – he is reminding us that death and the grave are no longer to be feared. Paul insists that death and the grave are very much a part of the journey into the fullness of God’s love – the journey into the presence of the Living God – the journey into the heart and soul of the Living God. 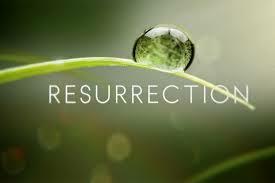 Resurrection reminds us that ultimately God will bring life out of death. We must release the voice of God in everyone, everywhere. In Jesus, his followers heard the voice of God. In Jesus, his followers discovered the wisdom of God. In Jesus, his followers experienced the love of God. Those who followed and loved Jesus experienced life in ways that were so earth shattering, so mind-blowing, that their lives would never be the same again. The power of the love they experienced in their life with Jesus could not be constrained or ended by Jesus’ death. Christ is risen! Christ is risen indeed. Alleluia! Christ lives and breathes and has being, in with and through us! This entry was posted in Adult Education, Evolutionary Christianity, Progressive Theology and tagged Bernard Brandon Scott Easter, Easter 1 Corinthians 15, Easter in the 21st century, Easter Sermon Bernard Brandon Scott, Easter sermon for the 21st century, Easter Sermon John Dominic Crossan, Easter Sermon John Shelby Spong, Easter Sermon Marcus Borg, Easter Sermon not physical, Jesus did not physically rise from the dead, John Dominic Crossan Easter, John Shelby Spong Easter, Marcus Borg Easter, preaching Easter in the 21st century, preparing to preach at Easter, progressive christian preaching Easter, progressive christianity Easter, progressive christianity Easter Sermon, resurrection not a physical resuscitation by Rev. Dawn Hutchings. Bookmark the permalink. Excellent sermon – thank you. Not only do I find a literal bodily resurrection unbelievable, but it makes a very unsatisfying story. It’s tragic and beautiful story with a too easily won happy-ending. I’ve always found Easter a little bit of a let down after Lent and Good Friday. It was like ever turning circle but nothing changes. But at the moment I’m exploring the post-resurrection appearances and I can’t help but get struck by how much they are like ghost-stories. As if the grieving disciples are hanging on to their memories of their friend. Jesus walks through walls, people don’t quite recognise him. And even though he seems very physical when Thomas first meets him, don’t forget Sadako from “The Ring” – ghosts aren’t always transparent floaty things. I’m preaching on this on Sunday and hope to blog it soon after. Thanks for your really interesting posts. At present it’s the best emerging church type of blog I’ve found at present.